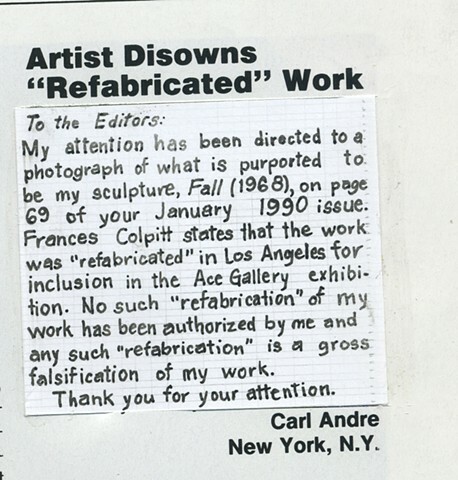 I found a letter to the editor of Art in America written by Carl Andre denouncing an unauthorized reproduction of his (mechanically produced) work. I reproduced this letter by hand, and inserted my hand-written copy in the place of the printed letter. I left the magazine in the archives of a library (location undisclosed).